FRANKLIN LAKES, NJ - Axis Insurance Services, LLC is proud to announce that our firm's Executive VP/Partner, Javier Gonzalez has been selected for Business Insurance's First Annual 40 under 40 Regional Broker Leaders award for the Northeast Region. The Business Insurance 40 Under 40 award program was created to recognize insurance brokers with outstanding leadership attributes, client service skills and expertise. The program is running across five regions of the U.S., with eight honorees selected in each region. A panel of senior editors at Business Insurance, chose the honorees based on their most recent professional achievements, their influence on the marketplace and their contributions to their local community. Business Insurance will feature an official compilation of all the 40 Under 40 award winners in their Oct. 7th issue and regional award receptions will be held across the U.S., later in the year. Javier joined Axis Insurance Services in 2005, as a producer and has worked his way up the ranks to Vice President, Executive Vice President and now Partner. He has managed to grow the sales department in excess of 30% each year and has consistently achieved the firm’s Million Dollar Producer award. Javier’s philosophy is simple; give clients what they are looking for and in the event they don’t know what they are looking for, simply be a resource. 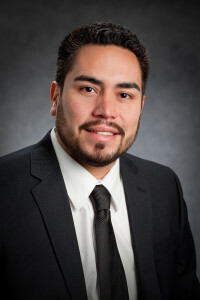 Javier enjoys golfing in his spare time and currently lives in Allentown, PA, with his wife Carly. Axis Insurance Services, LLC is a nationwide professional liability brokerage located in Franklin Lakes, NJ. Our highly-qualified insurance specialists provide nationwide businesses with customized professional liability insurance coverage. We specialize in Errors and Omissions insurance (E&O), Directors and Officers liability (D&O), Employment Practices (EPLI), Commercial Crime, Privacy/Network Security and Fiduciary products for today’s professional services firms, including commercial real estate agents and brokers, property managers, insurance agents, medical groups, third party administrators, accountants and many other professionals.